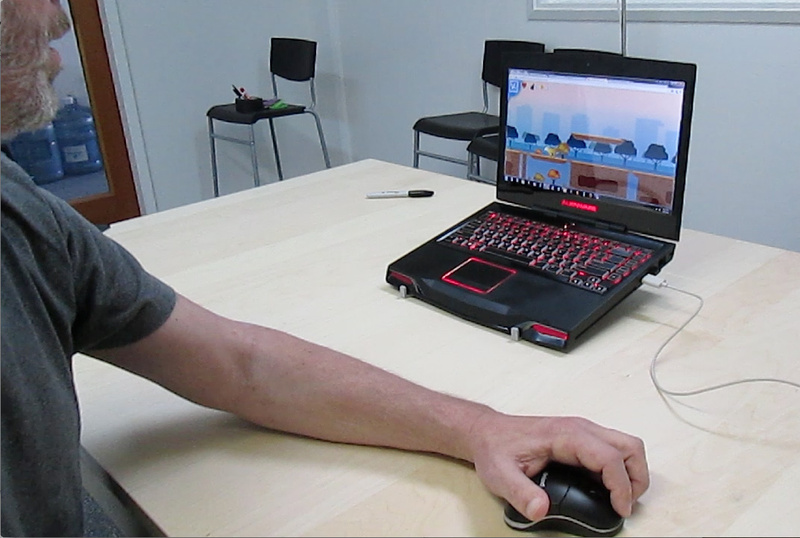 VISUAL TOUCH THERAPY is a software program and game platform that uses the Leap Motion gesture controller as an affordable, at-home therapy regimen for people with difficulty using their motor skills, such as those with spinal cord injuries, head injuries, nerve damage, or stroke patients. It features conventional video game challenges that can be overcome by using repetitive movement exercises to provide a method of therapy that (unlike exercise) is constantly rewarding, and gives more immediate feedback than traditional methods. Each of these games utilize a different motion– side to side arm movement, grabbing and grasping, “swipes”, tap, push and pull. These are all movements that typical therapy use, but VTT creates an environment where the repetition becomes an advantage and something to be desired, not a chore. Users get in-game achievement badges, high scores, and a ton of micro-rewards and positive feedback each time they play. Although it takes months for the effects of therapy to be felt by a patient, it takes minutes to get some in-game achievements… invoking the “just one more game” instinctive response that we all know from watching people play casual and Facebook games. Hello. I am a writer with PT in Motion magazine and am working on a story about Gamification and its role in health care and physical therapy. Was hoping to interview you for my story. Would you be available to answer a few questions by email about this? I look forward to your response.